Volkswagen may be leaning toward a Golf-based wagon similar to the Alltrack concept, shown. Volkswagen Group of America may take aim at the Subaru Outback with a rugged, all-wheel-drive wagon based on the next-generation Golf, sources say. VW has approved an awd version of the redesigned Golf-based Jetta SportWagen that is due in the United States in late 2014. Sources familiar with VW's product plans say the automaker is leaning toward turning the awd version into a spin-off model with higher ground clearance and body cladding, similar to the Alltrack concept shown at the New York auto show in 2012. VW already sells an Outback rival in the actual Australian outback. 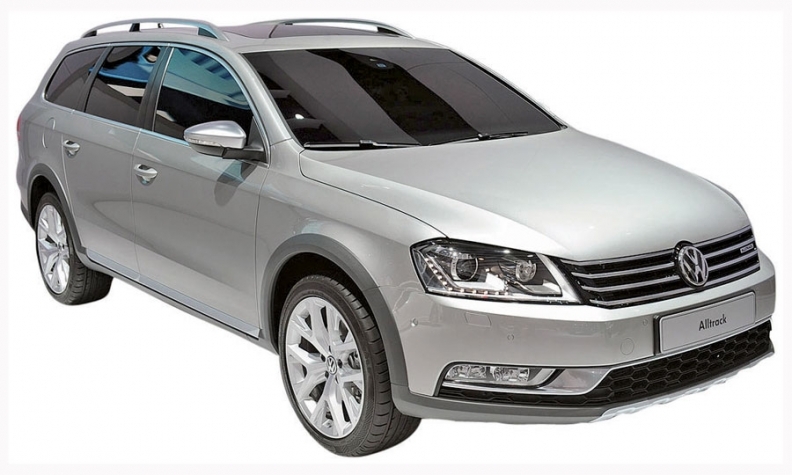 That car is a modified Passat wagon called the Passat Alltrack, but VW discontinued the Passat wagon in the United States when it launched the Chattanooga-built Passat in 2011. Targeting Outback buyers could be a marketing challenge for VW. An awd Outback starts at $23,495 with a 2.5-liter engine and a six-speed manual, while a front-wheel-drive Jetta SportWagen starts at $21,390 with a 2.5-liter engine and a five-speed manual. All prices include shipping. Yet the Outback, Subaru's best-seller in the United States, had nearly five times the sales of the SportWagen in 2012, with 117,553 units sold.